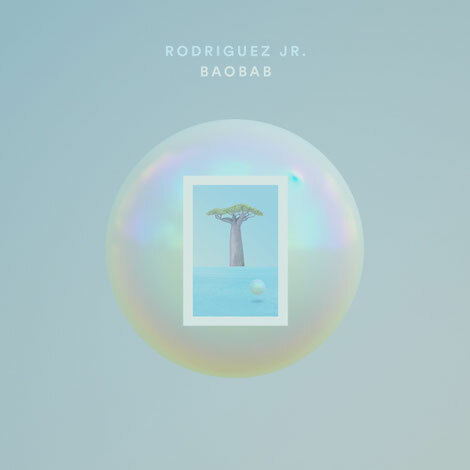 Rodriguez Jr. returns to Mobilee with his album ‘Baobab’. Resident Advisor named the French artist in their Best Live Acts of 2016, and in between his live shows he has created a ten track album that elicits powerful emotions through music. He understands the importance of empty spaces and the purposeful silences in-between each track enable reflection on what you have just heard. Using sounds and effects, he creates an album of emotive music. Rodriguez Jr.: “Baobab is about roots. It has mainly been written whilst travelling and I needed to re-connect to my roots: the music I used to listen to as a teenager from South Of France, my first parties, this fantastic sense of freshness, enthusiasm and innocence. This is why I decided to call it ‘Baobab’: a big tree proud to grow up in a lush surrounding, with it’s roots deep in the floor”. Collaborating with Liset Alea, the singer and composer from Nouvelle Vague, whose vocals shine through on three of the tracks on the album as well as Rodriguez Jr ‘s own vocals on ‘Heal Me’, a track touching on the complexities of being human. Speaking about his collaboration with Liset, Olivier says, “the singer is a key part of this album as her voice is a link between different phases. The interaction in the studio has been extremely spontaneous and emotional”. An ‘Evidence Of Time’ opens the album with a heartbeat and steps into the intricacies of Olivier’s mind. “Wake me, shake me, in the middle of the night, surprise me out of a dream” Liset Alea sings with a vulnerability on ‘Waste Tomorrow’, a track that is like an awakening, ending as abruptly as it begins. Liset returns in ‘Take A Walk’, it’s prolonged introduction heavy in mood and punctured with piano keys. ‘Radian’ floats away with a range of cosmic sounds brimming with atmosphere and ’Monticello’ ramps up the intensity. Liset makes her final appearance in ‘The Heart Is A Woman’, bringing richness and depth before the album concludes with ‘Ellipsism’, and ‘Tomorrow Never Comes’. Growing up in the South of France, Olivier developed his musical skills on the piano, before eventually making the move to Paris as a young adult. He was able to immerse himself in a flourishing scene, with peers including Agoria, and soon after formed the electro group The Youngsters. Signed by Laurent Garnier to F Communications, the duo released two albums and a string of singles.